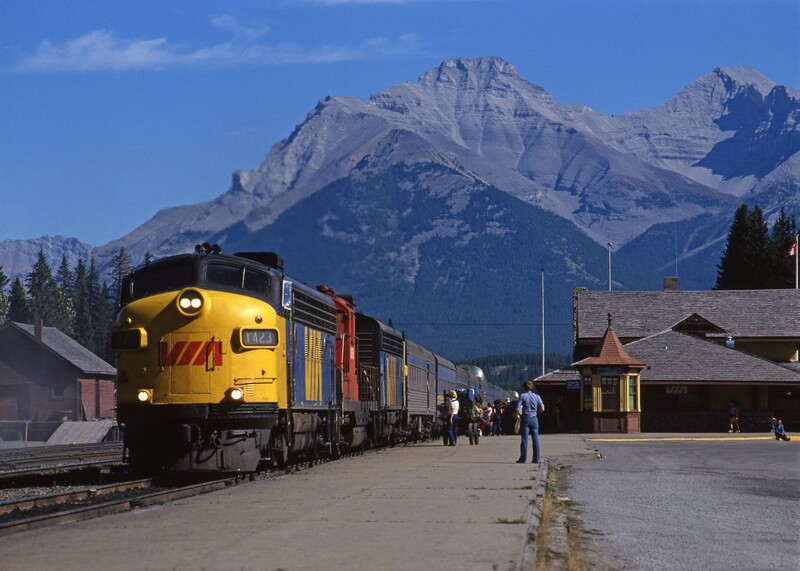 Railpictures.ca - Peter Gloor Photo: VIA train 1, the Canadian, at Banff | Railpictures.ca – Canadian Railway Photography – photographie ferroviaire Canadienne. Copyright Notice: This image ©Peter Gloor all rights reserved. Beautiful Sir! I would stop there myself some seven years later (September 24, 1988) and admire the view! Always loved to stop at Banff. I could get out and see the mountains.